PATENTED,EPOCH-MAKING MACHINE, Space saving Rotary-sterilizer. 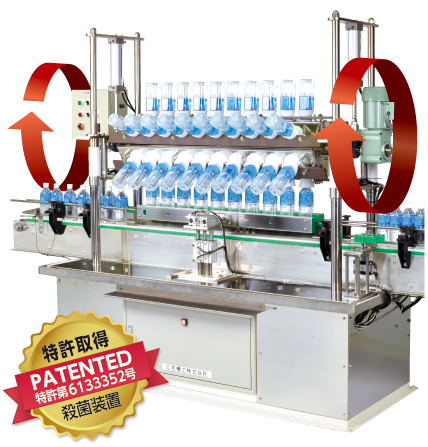 This device has been designed and developed as a high-performance bottle disinfection apparatus supporting high mix, low volume production lines. This system is drastically different from traditional inverted systems and represents a revolution in sterilization. 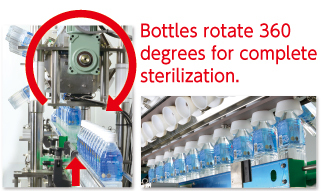 Rotating the bottles 360 degrees allows for sterilizing all interior surfaces. They are held for over 30 seconds, achieving long sterilization. Sterilization solutions generally have limitations in terms of space, time, or cost required. This machine now does away with those hurdles. 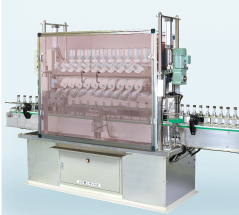 Sterilization time configurable between 30-90 seconds. ●Supporting small bottles, plastic bottles, and more -- we support high mix, low volume! The cover setting is possible. The size change according to the Ability.